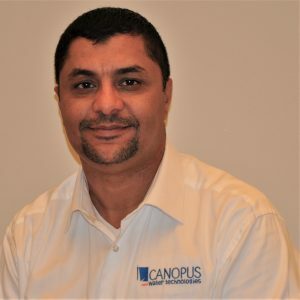 Canopus Water Technologies is a developer and manufacturer of non-chemical water disinfection products for residential, industrial, and commercial applications. Armed with the mission to contribute to the safety of people, Canopus brings innovative technologies to an industry in a dire need for change. With a quick to market approach, our plan is to introduce three successive product platforms: the best Ultra Violet (UV) disinfection offering in the market based on state of the art UVC-LEDs and a unique reactor design, the first of its kind plasma-based water disinfection product, and finally an Ozone product for pharma and the semiconductor industry. At Canopus, we are committed to make technology serve people and businesses by safely and non-chemically disinfecting water to the highest quality standards as defined by the EPA, NSF, and WQA. The best resource for starting Canopus is the people I worked with over the years. From sincere advice to working long hours pro-bono to help get us off the ground. To these friends, I stand forever grateful. The other great resource is the NH startup ecosystem, from the TechOut where we made many valuable connections, to the Speed Venture Summit where we met a potential investor, both events are contributing to our story. I should also mention the supportive network of local suppliers and partners. Funding is the biggest obstacle and it continues to be the case due to the capital involved in starting a manufacturing company in general and in our space where product validation and certification are costly. Nonetheless, we intend to overcome this financial challenge by bootstrapping and managing resources very tightly until we gain acceptance by both the investment community and our customer base. We are making significant progress with the later with our two product platforms; the C-UV 100, the UVC LED-based water disinfection product that exceeded our aggressive performance targets. Similarly, our VegaPure line of containers with integrated water sanitation is capturing the interest of many potential investors. I am very fortunate to have worked with some of the best and brightest talents in science, technology, and business. The consistent advice I received from almost everybody is to be patient. Many founders, myself included, expect a quick turn of fate once an idea or a concept is validated. We tend to expect customers, sales, investors and a smooth transition to operations. This is very far from the truth, in fact, once the product and its commercial merit are established, the true challenges begin. Now you and the team must wear many hats where you become the business leaders, the marketers, the sales people, and the operators all at the same time. Everything about the NH lifestyle appeals to my family and me. We live in Windham and we find it to be a very welcoming town and a warm community with an excellent school system and many amenities for young children. Its location right off Interstate 93 makes an ideal place to lead an active lifestyle. In our state, in one weekend, you can attend a cultural event in Boston or Manchester and participate in an outdoor activity in the White Mountains. You can ski in the morning and join an ice-cream social in the afternoon. The future looks very promising. 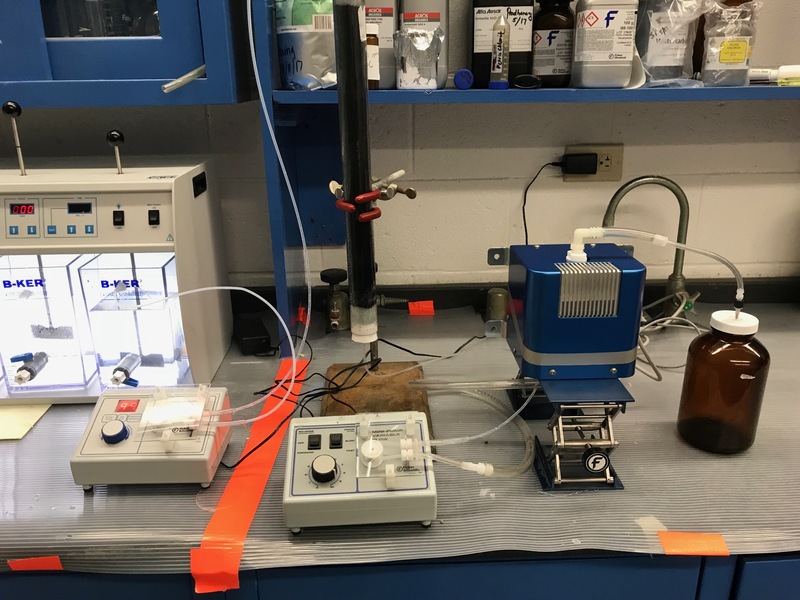 We have shipped our first prototype of the C-UV100 product family to the University of Rhode Island to be evaluated in a highly visible program. We are also collaborating with the university on several publications to help us brand the company as a technology leader. We are also in talks with a potential partner with a significant market share in the UV Water Disinfection segment. We expect this partner’s global footprint will give us a significant boost in 2018 with the turn to profitability in 2019. With most industrialized nations banning Mercury starting in 2020, we believe that we are positioned for a great success. In the second half of the year we plan to release our portable water platform that includes a bottle and other systems with integrated sanitation. 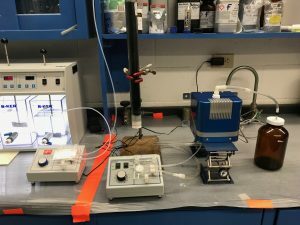 This plasma-based technology is considered by experts in the field as the future of disinfection due to the emergent contaminants our water sources are subjected to. This product family fits perfectly with Canopus’ mission as a for-benefit corporation where we will deliver on our promise to donate containers with built-in sanitation to countries where clean water is not easily accessible and to disaster areas.